London : HarperCollins, 2001, c2000. 551 p. : 1 map ; 20 cm. Ghosh&apos;s epic novel of Burma and Malaya over a span of 115 years is the kind of "sweep of history" that readers can appreciate, even love, despite its demands. There is almost too much here for one book, as over the years the lives and deaths of principal characters go flying by. Yet Ghosh (The Calcutta Chromosome; Shadow Lines) is a beguiling and endlessly resourceful storyteller, and he boasts one of the most arresting openings in recent fiction: in the marketplace of Mandalay, only the 11-year-old Indian boy Rajkumar recognizes the booming sounds beyond the curve of the river as English cannon fire. The year is 1885, and the British have used a trade dispute to justify the invasion and seizure of Burma&apos;s capital. As a crowd of looters pours into the fabled Glass Palace, the dazzling throne room of the nine-roofed golden spire that was the great hti of Burma&apos;s kings, Rajkumar catches sight of Dolly, then only 10, nursemaid to the Second Princess. Rajkumar carries the memory of their brief meeting through the years to come, while he rises to fame and riches in the teak trade and Dolly travels into exile to India with King Thebaw, Burma&apos;s last king; Queen Supayalat; and their three daughters. The story of the exiled king and his family in Ratnagiri, a sleepy port town south of Bombay, is worth a novel in itself, and the first two of the story&apos;s seven parts, which relate that history and Rajkumar&apos;s rise to wealth in Burma&apos;s teak forests, are marvelously told. Inspired by tales handed down to him by his father and uncle, Ghosh vividly brings to life the history of Burma and Malaya over a century of momentous change in this teeming, multigenerational saga. (Feb. 6) Forecast: Novels by Indian authors continue to surge in popularity here, and this title not only ranks among the best but differs from the pack for its setting of Burma rather than India. Backed by a 6-city author tour, advance blurbs from Peter Mathiessen and the British reviews of the novel, plus a Fiction at Random promotion, this book should be read widely and with enthusiasm stateside. Rights have been sold in Germany, the U.K., France, Denmark, Holland, Italy, Spain, India and Latin America. 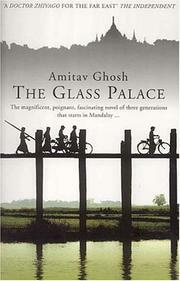 The glass palace / Amitav Ghosh. 100 Personl Name ME 1 $a Personal name Ghosh, Amitav. 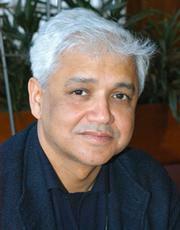 $c Statement of responsibility Amitav Ghosh. $c Date of publication, dist, etc 2001, c2000. 520 Summary Etc. 1 $a Summary, etc. note Ghosh&apos;s epic novel of Burma and Malaya over a span of 115 years is the kind of "sweep of history" that readers can appreciate, even love, despite its demands. There is almost too much here for one book, as over the years the lives and deaths of principal characters go flying by. Yet Ghosh (The Calcutta Chromosome; Shadow Lines) is a beguiling and endlessly resourceful storyteller, and he boasts one of the most arresting openings in recent fiction: in the marketplace of Mandalay, only the 11-year-old Indian boy Rajkumar recognizes the booming sounds beyond the curve of the river as English cannon fire. The year is 1885, and the British have used a trade dispute to justify the invasion and seizure of Burma&apos;s capital. As a crowd of looters pours into the fabled Glass Palace, the dazzling throne room of the nine-roofed golden spire that was the great hti of Burma&apos;s kings, Rajkumar catches sight of Dolly, then only 10, nursemaid to the Second Princess. Rajkumar carries the memory of their brief meeting through the years to come, while he rises to fame and riches in the teak trade and Dolly travels into exile to India with King Thebaw, Burma&apos;s last king; Queen Supayalat; and their three daughters. The story of the exiled king and his family in Ratnagiri, a sleepy port town south of Bombay, is worth a novel in itself, and the first two of the story&apos;s seven parts, which relate that history and Rajkumar&apos;s rise to wealth in Burma&apos;s teak forests, are marvelously told. Inspired by tales handed down to him by his father and uncle, Ghosh vividly brings to life the history of Burma and Malaya over a century of momentous change in this teeming, multigenerational saga. (Feb. 6) Forecast: Novels by Indian authors continue to surge in popularity here, and this title not only ranks among the best but differs from the pack for its setting of Burma rather than India. Backed by a 6-city author tour, advance blurbs from Peter Mathiessen and the British reviews of the novel, plus a Fiction at Random promotion, this book should be read widely and with enthusiasm stateside. Rights have been sold in Germany, the U.K., France, Denmark, Holland, Italy, Spain, India and Latin America. 650 Subj:Topic $a Source other than LC History--Malaysia.